The Trail Smoke Eaters conclude a four-game stretch away from home as they travel to the Shuswap for a weekend against the Salmon Arm Silverbacks beginning on Friday night at the Shaw Centre. The Smoke Eaters and Silverbacks haven’t seen much of each other this season, last playing in late October in Salmon Arm with Trail earning a 2-0 lead after two periods before the ‘Backs struck for four goals in the 3rd period and collecting a 4-2 victory. 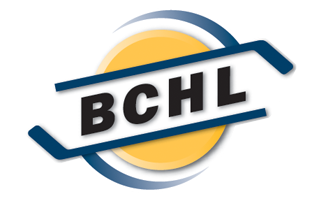 Layne Sniher scored his first BC Hockey League goal while Braeden Tuck also tallied for the Smoke Eaters on the night with both goals coming on the power play. Adam Marcoux turned aside 23 of the 26 shots he faced in the game. Trail comes into the weekend set after earning a 4-3 victory in a shootout south of the border on Saturday night against the Wenatchee Wild at the Town Toyota Center. Layne Sniher, Hayden Rowan and Mack Byers scored in regulation while Kent Johnson was the only player to tally in the shootout to help Trail to the win. Adam Marcoux stopped 22 of the 25 shots thrown his way including all three shooters faced in the skills competition for his 15th win of the season. After a six-game absence, Smoke Eaters defenseman Trevor Isaksson will make his return to the lineup. The North Delta, BC native has been sidelined for all of the year 2019 thus far after sustaining an injury in practice after the Smoke Eaters returned from the Christmas break and will be a welcomed sight in the lineup. The 6’3”, 205-pound defender plays heavy minutes on the backend for Trail to go along with one assist in 11 games in Black and Orange as well as 16 penalty minutes. The stellar play of Smoke Eaters leading scorer Chase Stevenson continued through the weekend as the University of New Hampshire commit has collected points in seven of his last eight games. The West Kelowna, BC native has earned 3 goals and 8 assists for 11 points in that span and has enjoyed a change of scenery to Trail, registering 7 goals and 14 assists for 21 points in 21 games since being acquired by the Smoke Eaters in November. Yale University commit Hayden Rowan has enjoyed a solid start to the year 2019 as the recently turned 20-year-old (as of Tuesday) has goals in three of his last five contests. The Pemberville, Ohio native sits 3rd in team goal scoring this season with his 14 markers as well as leading the Smoke Eaters and ranking tied for 7th in the BCHL in power play goals with 8. The Salmon Arm Silverbacks enter play on Friday night with a 21-19-4-1 record and sit 5th in the Interior Division after a weekend on Vancouver Island where the ‘Backs earned a win in three games including a 7-2 defeat at the hands of the Cowichan Valley Capitals on Sunday afternoon at the Island Savings Centre. Trevor Adams tallied each of the Silverback goals on the power play while Matthew Armitage turned aside 25 of the 32 shots he faced in his 8th loss of the season. 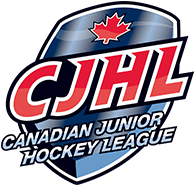 Colgate University committed forward Matthew Verboon was away from his team for just over a month competing with Team Switzerland at the World Junior Hockey Championships in Vancouver and has been red hot since his return to Salmon Arm. The Richmond Hill, Ontario native is the owner of a six-game point streak, scoring 4 goals and adding 6 assists for 10 points in that span including assists in each of his last five contests. Trevor Adams has also been a strong source of offence for the Silverbacks, coming into tonight’s game riding a 7-game point streak. The Muskegon, Michigan native has scored 2 goals and 7 assists for 9 points during that seven games stretch and the Air Force commit has a least in point in 10 of his last 11 games, playing in his 100th career regular season BCHL game on Sunday against the Capitals. 13 of the Silverbacks 18 wins have come at the Shaw Centre this season as the ‘Backs possess the league’s 5th least amount of losses on home ice. Salmon Arm has outscored their opponents by a 76-72 margin but have dropped two of their last three games played on home ice as well as five of their last seven games overall.